Stuart is a Life Member of the Law Society, but no longer practises. He acts as consultant to the firm, particularly with respect to trial-related matters. 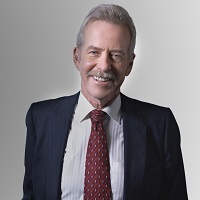 Stuart acted as counsel in over 200 trials and appeared at trial and appellate courts in Ontario, as well as in the Supreme Court of Canada. He specialized in civil litigation. In January 2016, Stuart became Counsel to the firm. Stuart was included in The Best Lawyers in Canada annually from 2006 to 2018 in the field of Insurance Law. He was Lexpert Director Peer Ranked as a Leading Practitioner in Commercial Insurance Litigation from 2008-2014.